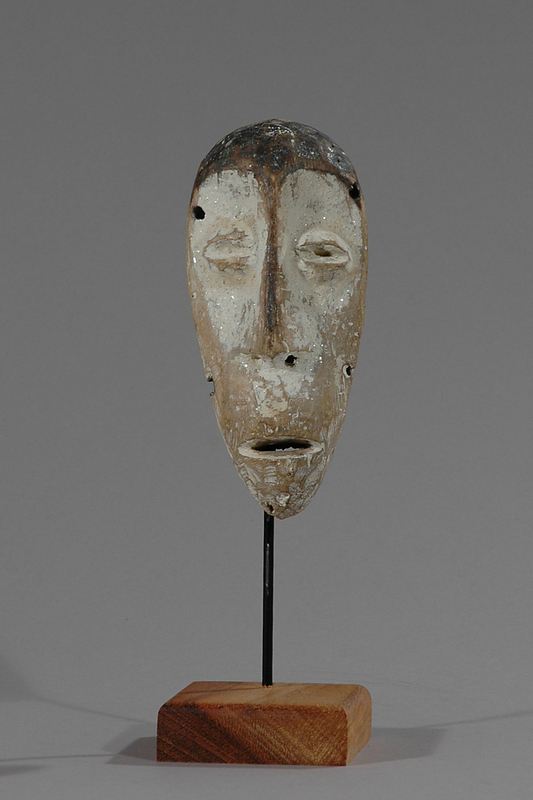 The Lega passport mask with face painted in white is used by the Lega people living near the northern end of Lake Tanganyika on the banks of the Lualaba River in the DR Congo. They are also known as the Warega. Living in small village groups, they have no centralized authority, but govern themselves through a communal association known as “Bwami.” This association is composed of male and female members, who strive to advance up through the various ranks of Bwami, a long process which involves challenges as well as proof of knowledge. The ultimate goal for the initiate is to reach the highest level, and become a “Kindi,” a position of power, prestige and influence with the village. 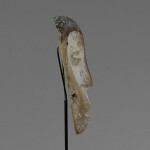 It is during the various Bwami ceremonies that the charming and popular heart-faced masks are used. The masks are transported in baskets from village to village by high-ranking elders. 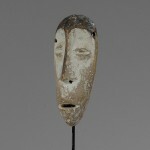 Lega masks are usually carved in a distinctive style, with a heart-shaped, concave face, slightly protruding forehead, narrow nose, slit eyes and a slightly open mouth, often with a rather surprised and charming expression. 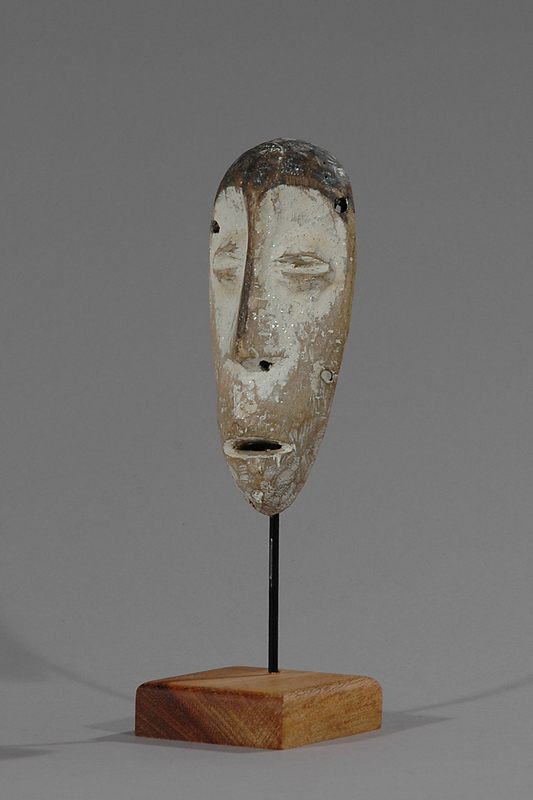 The surfaces of the masks are rubbed with kaolin/pembe each time they are used, and thus acquire their striking white appearance. 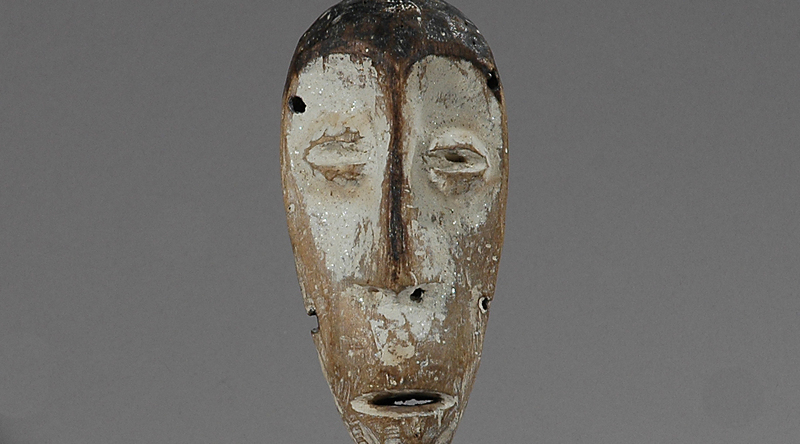 Though fairly common, Lega masks continue to be incredibly popular with collectors. The social and political life of the Lega (also known as the Warega) is regulated by the Bwami society, to which both men and women belong. There are seven levels for men, four levels for women. 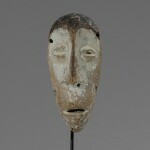 Masks were used for initiation to one of the first two levels of the Bwami society. The white sections were repainted with Pembe each time they were danced. 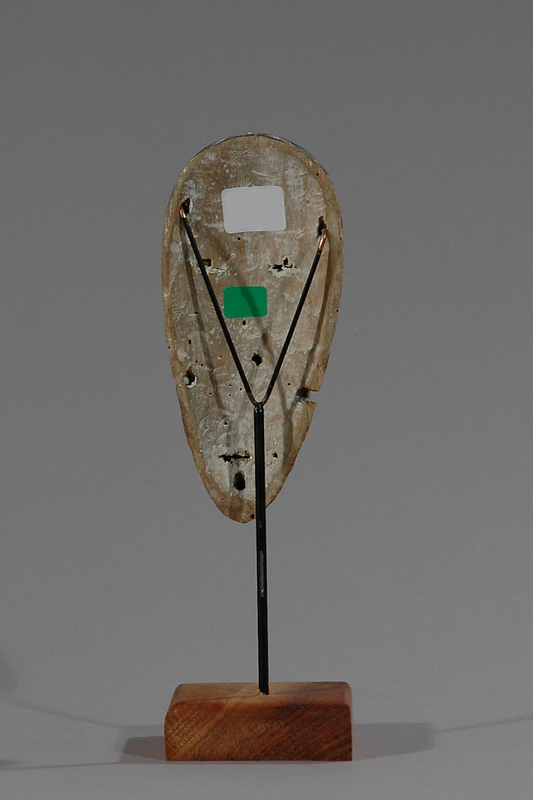 The mask was worn by the initiate and also displayed on a fence. Passport masks serve to mark the passage of an initiate into the men’s secret society and his elevation into the higher ranks. The small masks may be presented at meetings of senior members of the men’s society to indicate their right to be present and participate in the deliberations. 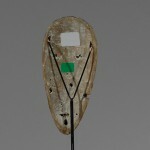 Among the Dan and connected groups in Liberia and Côte d’Ivoire, small-sized replicas of a variety of mask types were made for the personal use of individuals. 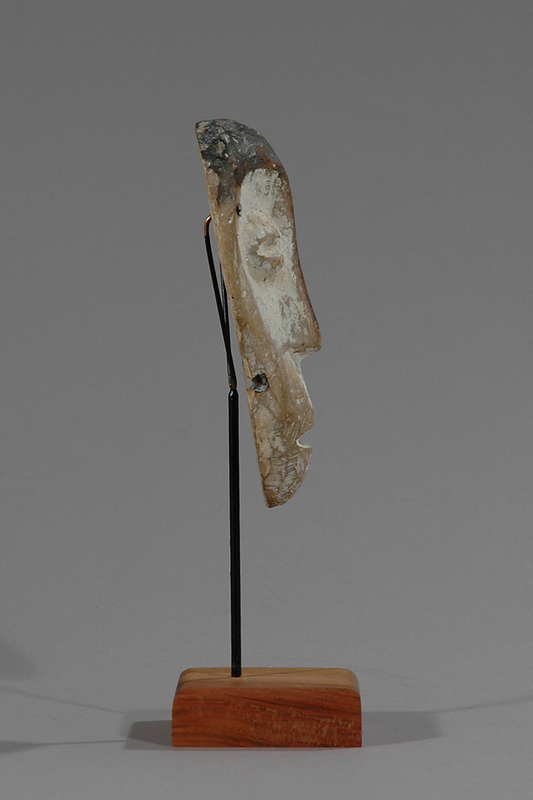 Many indicated association with initiation societies and related personal spirit protectors, and occasionally a diviner would suggest that one be made for specific protective functions. The term “passport” was coined to suggest their use as proof of “belonging” when a person was in contexts other than his home village.